Internships are increasingly important for students, employers, and experienced professionals in career pathway planning and workforce development. They allow for employers to connect with high quality talent in an ever more competitive labor market and utilize skills their incumbent workforce may be lacking. They also provide great opportunities for students to apply their classroom learning to invaluable real-world career experiences, and for experienced professionals to explore new career paths or reenter the workforce. 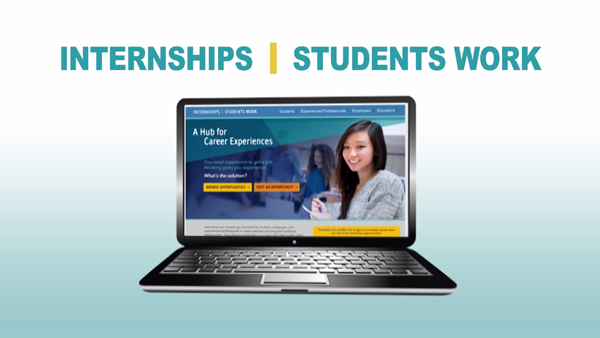 Internships are increasingly important for students, employers and experienced professionals in career pathway planning and workforce development. They allow for employers to connect with high quality talent and provide great opportunities for students to apply their classroom learning to real-world career experiences. Not sure if interning is right for you? Employer wanting to hire an intern?